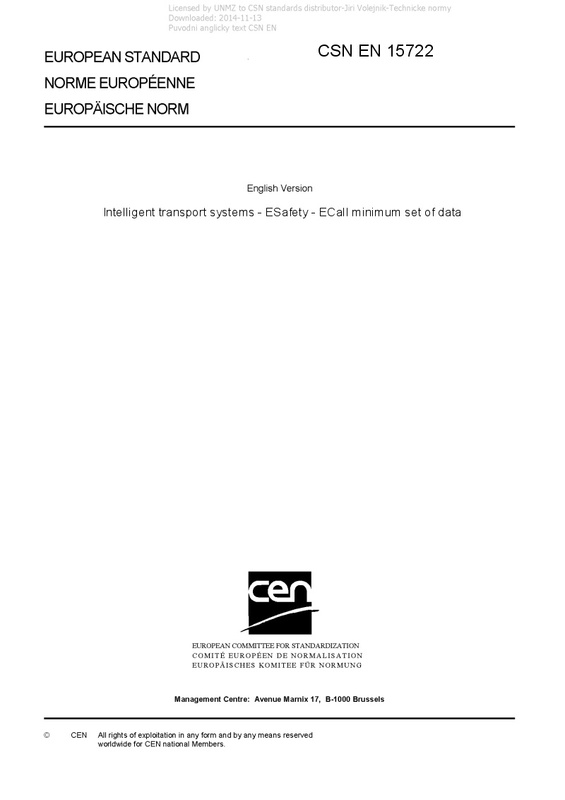 EN 15722 Intelligent transport systems - ESafety - ECall minimum set of data - This European Standard specifies the standard data concepts that comprise the "Minimum Set of Data" (MSD) to be transferred from a vehicle to a 'Public Safety Answering Point' (PSAP) in the event of a crash or emergency via an 'eCall' communication transaction. Optional additional data concepts may also be transferred. The communications media protocols and methods for the transmission of the eCall message are not specified in this European Standard.